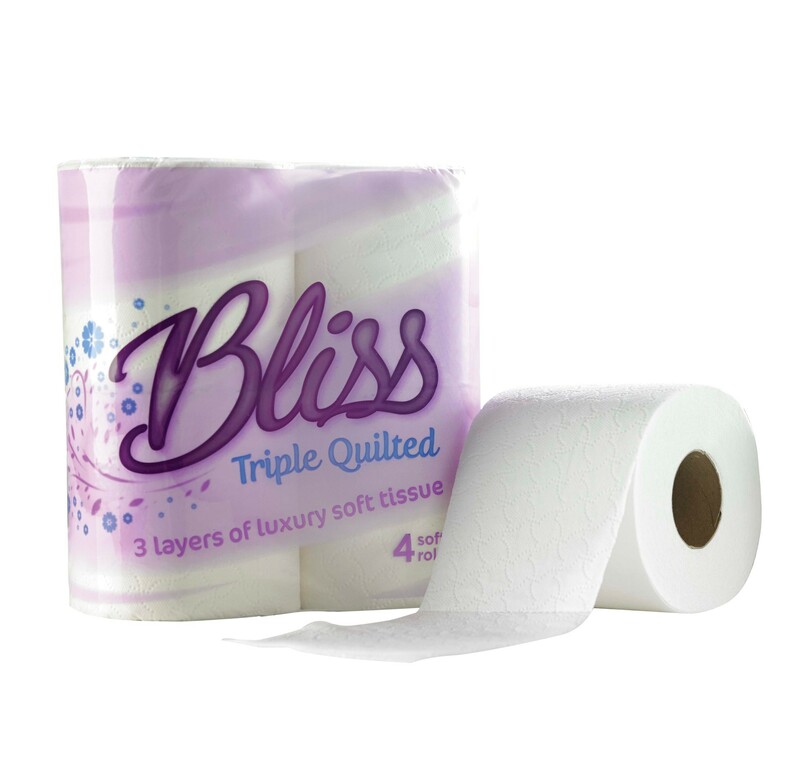 Bliss 3ply Triple Quilted White Toilet Roll is a luxury toilet roll made from pure pulp product. This bathroom toilet roll designed for use in a conventional toilet roll hiolder or dispenser. Ideal for use in hotels, care homes, education establishments, the leisure industry and even at home. The rolls are packaged 40 rolls per case and are retail packed in 4's for easy storage and distribution. The toilet rolls have a unique embossed pattern to compliment the modern bathroom, they are also pleasantly scented, with a soft fresh fragrance. 3 ply quilted - giving superior softness and strength.